Being the last of the free dwarfs never has been an easy task. After so many years imprisonment underground your fellow dwarfs almost lost all hope to see their once great culture restored. You, however, managed to escape captivity, gathering strength and now have seized the opportunity to reclaim what once was your people’s. Dark Gnome is an action-packed humorous adventure game with RPG elements where you as the leader of your troops have to fight your way back to the top of the food chain. Complete rescue missions and free prisoners to bolster your troops. Collect valuable items to improve your dwarfs survivability by forging new armor and weapons or brewing potions and preparing food. Unlock and explore numerous areas to discover new challenges, enemies and loot! 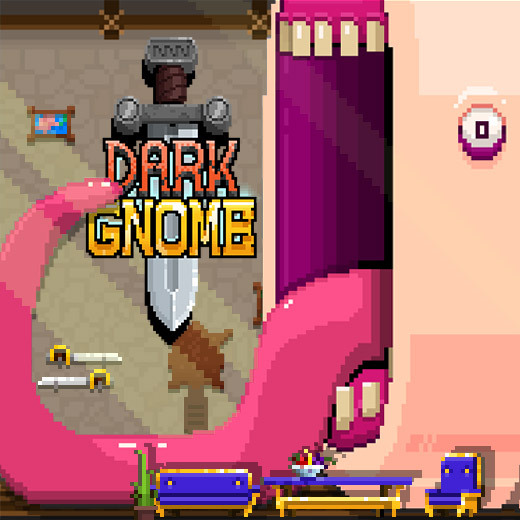 Dark Gnome is based in a grandiose fantasy setting with lots of hilarious characters, challenging battles and tons of fun – all wrapped up in nostalgia-inducing pixel graphics. Dark Gnome is available in English, German and Polish. Sign up for free and start your big adventure now!